You want to go to Lisbon in Portugal in march : check how are the weather and seasonal norms on this page. The weather in Lisbon in march comes from statistical datas on the past years. You can view the weather statistics the entire month, but also by clicking on the tabs for the beginning, the middle and the end of the month. A remarkable presence of showers, a temperature that continues to climb gradually, sun and an often clear sky characterize the climate throughout March in Lisbon. The spring season has just begun with the month of March, which is slowly improving, favoring touristic visits in Lisbon. The first ten days of March see a temperature rise by a few degrees Celsius. The mornings are pleasant, provided that one dresses in sufficiently comfortable outfits. As the heat in the middle of the day gently gets closer to favorable conditions, one's days will be magnificent, especially as the sun is constantly on the program. The weather continues to improve and the rains are gradually decreasing. The rains gives way to a partially overcast sky and fog from time to time during the mornings. The rest of the time, one will benefit from a weather in Lisbon throughout March that is favorable to the sightseeing. The days become more and more luminous. The mists and the rains give way to a clear sky which sometimes alternates with the clouds. The heat continues to climb and allows one to benefit from favorable weather conditions throughout the day and during the evening. The climate in march in Lisbon is rather dry (with 91mm of precipitation over 12 days). It should be noted an improvement from the previous month since in february it receives an average of 93mm of rainfall over 10 days. The climate is relatively cold in that locality the month of march, but it is endurable by dressing hot. The thermometer averaged maximum of 18°C. The minimum is 14°C. Thus, the mean temperature average in march in Lisbon is 16°C. Note that these seasonal averages are in contrast with those observed in Lisbon in march with a maximum record of 27°C in 2017 and a minimum record of 7°C in 2010. You can expect to have about 10 days with temperatures above 18°C, or 32% of the month. On this month of march, day length in Lisbon is generally 11:56. 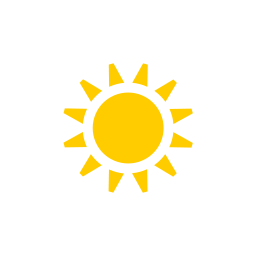 Sunrise is at 07:48 and sets at 19:44. With good weather conditions, this month is a good time to go in this city in Portugal. Check below seasonal norms These datas are compiled from the weather statements earlier years of march. Weather data for Lisbon for march are derived from an average of the weather forecast since 2009 in Lisbon. There is a margin of error and these forecasts are to be considered as general information only. The weather in Lisbon can vary slightly from year to year, but this data should limit surprises. So you can pack your bags or check for the best time in year to go to Lisbon. Best time to go to Lisbon?